We are thrilled and proud to announce the launch of Beebop books, published by Harper Collins India. Beebop, the brand, is conceptualized and owned by Dream Theatre. It is India’s first home grown pre-school and infant brand and is a celebration of early childhood as much as it is of parenthood. Publishing is the latest addition to Beebop’s other categories of toys, gift sets and sleep essentials for infants and toddlers. The Beebop series of graded readers has three levels. 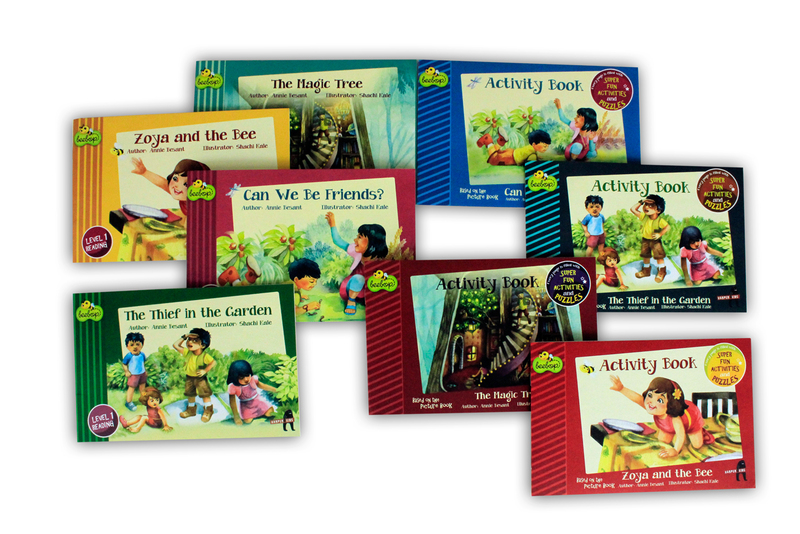 Each level consists of four story books and four accompanying activity books. The just launched level 1 books, bring alive a magical world where Beebop, the friendly bee takes Sarah, Jay, Zoya and Zubin on many marvelous adventures. The books bring to light the element of wonder filled fantasies, make belief worlds and values of friendship, fearlessness and adventures.